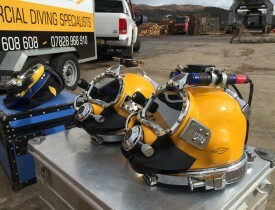 Highland Subsea is a new and exciting inshore commercial diving company based in the heart of the West Coast Highlands of Scotland. We serve a range of clients within a number of industries including marine, construction, engineering, oil and gas. From our location in Scotland, we are ideally placed to provide a comprehensive range of services across the UK and Ireland. We cover all areas of subsea engineering from inspection, repair and maintenance projects to contracts in marine shipping, fish farming, aqua culture, the Scottish Fishing Fleet, civil engineering, subsea installations and harbour & canal authorities. 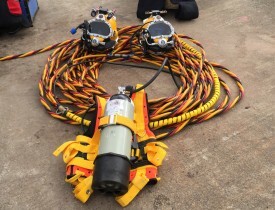 Our aim is to provide the most efficient, cost effective services for all your diving requirements. Our fully qualified and highly skilled staff have a wealth of experience within the subsea industry, so whatever you’re requirements we carry out all work to the highest standards without compromise. 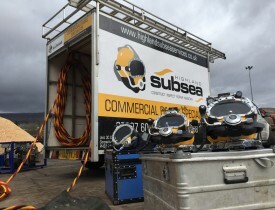 Highland Subsea Services have the latest equipment and up to date expertise and experience to deliver projects on time and to client’s exact specifications. We have built our outstanding reputation on meeting client’s deadlines every time and always striving for 100% customer satisfaction. 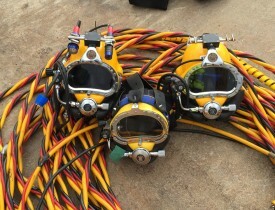 If you are looking for an experienced commercial diving company, get in touch today on +44 (0) 1397 708803 to speak to a member of our team! For any urgent problems, we offer a 24hour call out service perfect for when jobs need doing quickly. Just contact our team for more information!